Schedule Your Book Event or Literacy Workshop! 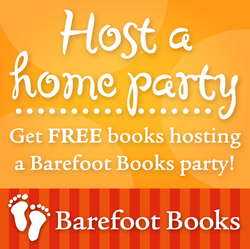 Whether you're hosting a mom's night out or a storytime playdate, a Barefoot Books Step Inside a Story Party is an experience you won't soon forget! You can leave the planning to me or we can create a memorable event together with stories, crafts, sing alongs, and more! As a thank you for hosting, you'll receive free books for your family or school library and the pleasure of introducing these beautiful books to your friends, neighbors, and family. Looking for Literacy and Storytime Tips for fellow parents or educators? Let's host a Literacy Workshop together! Special workshops on inclusion and diversity and emotional literacy! Too busy or too tired to host a party in your home? Consider hosting at your church, a local coffee shop, or even on Facebook! Visit my Ambassador Facebook Page!